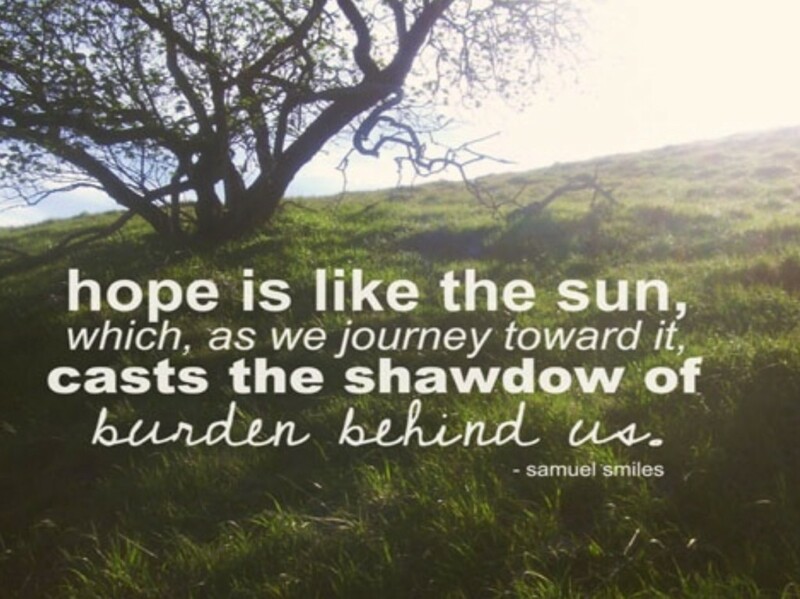 Where is your hope anchored? Years ago, I would have made the claim to being “self made”, my hope was anchored in myself. I was self sufficient and eager to accomplish all my goals, in my time, and in my way. The trouble with taking all the credit for my accomplishments, is that when things stopped going quite right, stumbling blocks piled, and surrounding walls started caving in, there I crouched with an empty feeling in the pit of my stomach, and a feeling of loneliness. Even with an abundance of friends and family with supportive words, there was still something missing. The good news as I discovered, is it doesn’t have to be this way. I have a choice, we all have a choice. Rather than trusting in my own abilities and believing solely in myself, I can trust in the One who spoke life into us, the One responsible for all our creation. When our hope is anchored in the Lord, we will never be alone. When we praise Him for our successes and make our life choices based on bringing glory to Him alone, we have a purpose, His purpose; which is the most fulfilling purpose of all. Anchoring my hope in the Lord does not mean that I will not face adversities and difficulties; rather, when I do face them, I will not be left crouching with fear, I will be standing in strength, the walls that may seem to be trying to cave in will be held up by arms much stronger than my own, I will climb over and dodge stumbling blocks instead of being overtaken and overpowered by them. I will conquer what He has set for me to accomplish, for He who lives in me is greater than myself. By anchoring my hope Papa God, I can discover my purpose in this life. I will learn the love He has for me through not just His blessings, but also through the patience He teaches me and through his discipline. With my hope now anchored in my Savior I am left fearless, for any purpose and calling that comes from Him will not fail. And what a feeling that is!